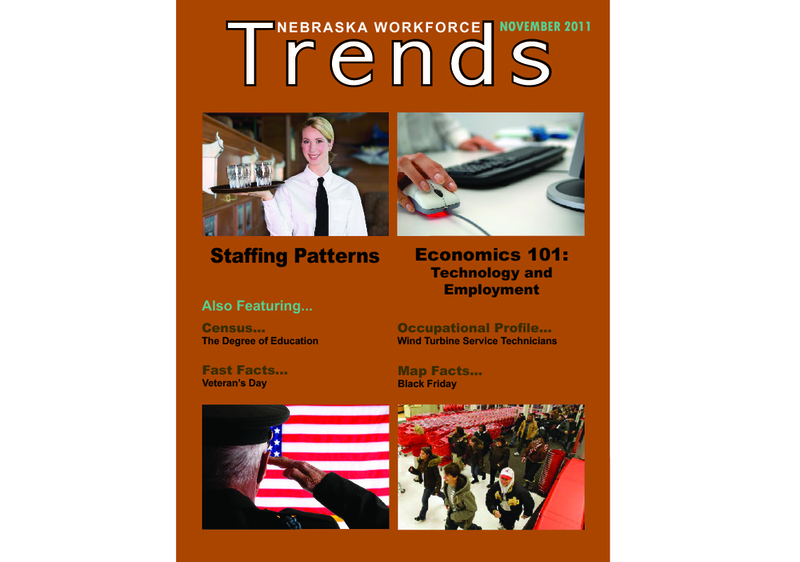 During the course of my employment as a Graphic Design Intern for the Nebraska Department of Labor, I was able to design several publications, covers, and issues of Nebraska Workforce Trends, the monthly news magazine for labor market information. 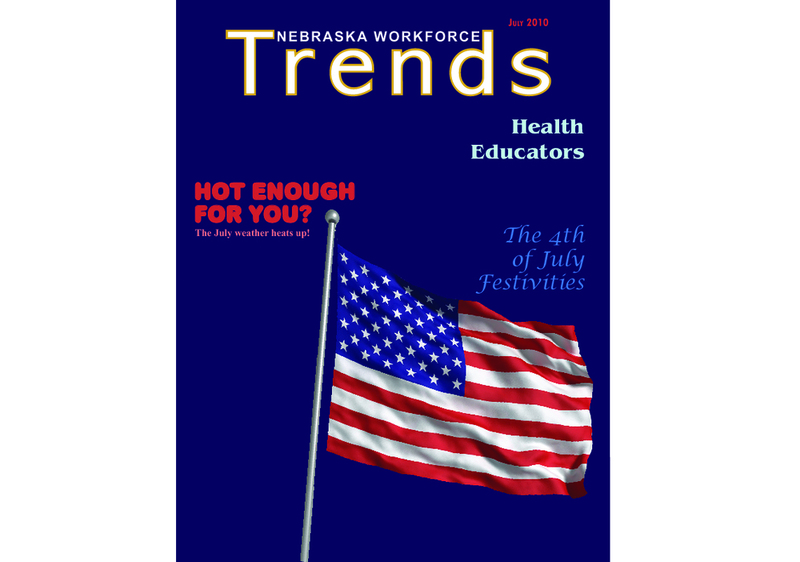 As an intern, I created 24 issues of Trends that were published electronically during my time at Department of Labor. It was my responsibility to format charts, select the color palette and typography used each month, and to place articles, headlines, and photos in an aesthetically pleasing layout that would appeal to our readers while incorporating our theme for each month. I also developed several annual publications as an intern, including: Graduate Outcomes 2010 and 2011, Nebraska Occupational and Industry Projections, several cover designs for internal publications, and the Annual Report to the Governor for 2010 and 2011. As an intern, I was responsible for the layout, color palette, typography and photography selections, while developing the concept that reflects the focus of each report's labor market information.